Low-profile warmth, ease of movement and all-weather protection are yours for the taking with the KJUS Men's Speed Reader Jacket. 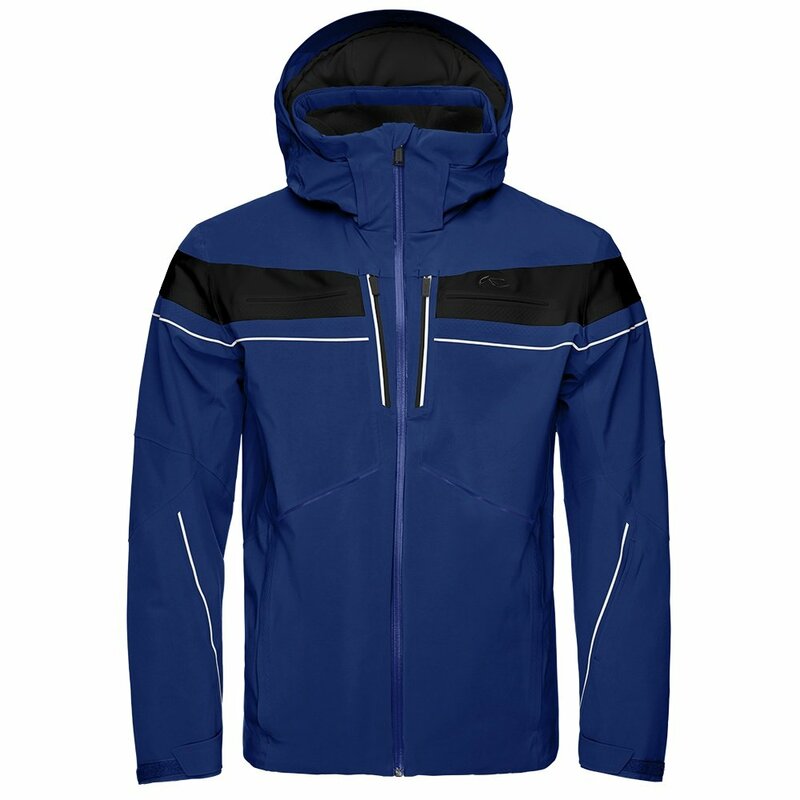 No matter what the weather's like, the conditions are excellent inside this sporty ski jacket. Its 2-layer stretch polyester shell features a waterproof-yet-breathable Dermizax® membrane rated to 20K/20K. The stretch liner offers lightweight, moisture-wicking performance for interior comfort, while 60g KJUS synthetic fill insulates without weighing you down or bulking you up. Pre-shaped sleeves with secure cuffs offer a natural fit without restriction. The Speed Reader comes with an elastic snow gaiter to keep powder from getting in and a neck gaiter for extra warmth. Plus, its one-hand-adjustable hood detaches from the collar when you don't need it, perfect for those idyllic bluebird days.